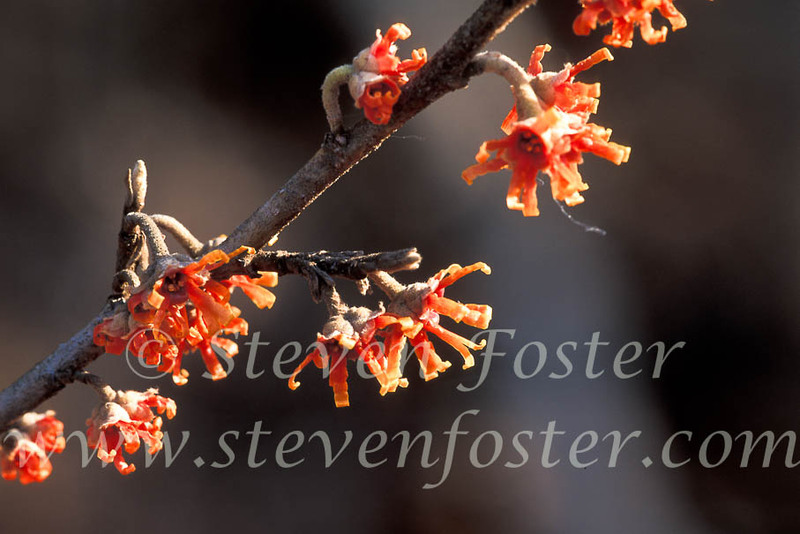 Photos of Vernal Witch Hazel, Hamamelis vernalis. 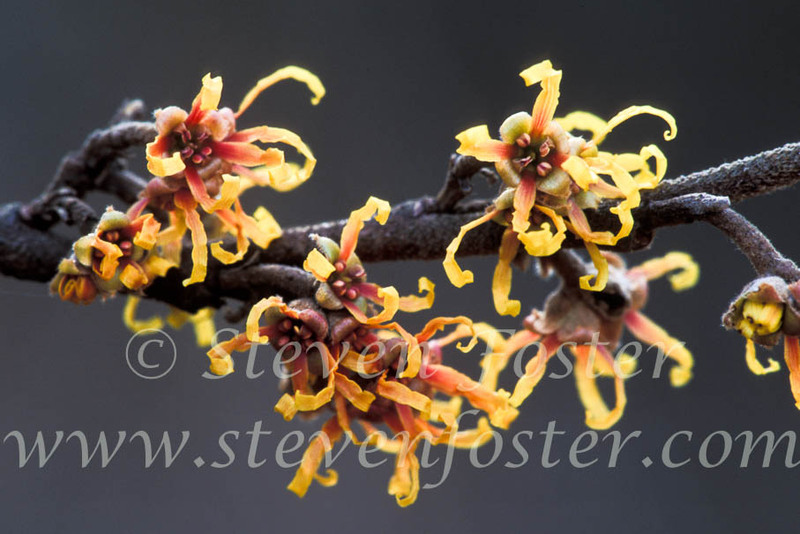 Vernal Witch Hazel, Hamamelis vernalis. 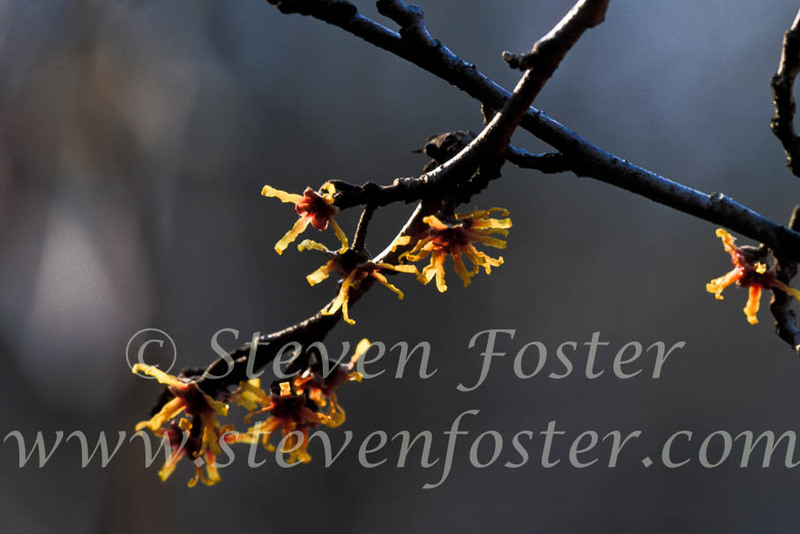 The best part of winter is the first sign of spring. 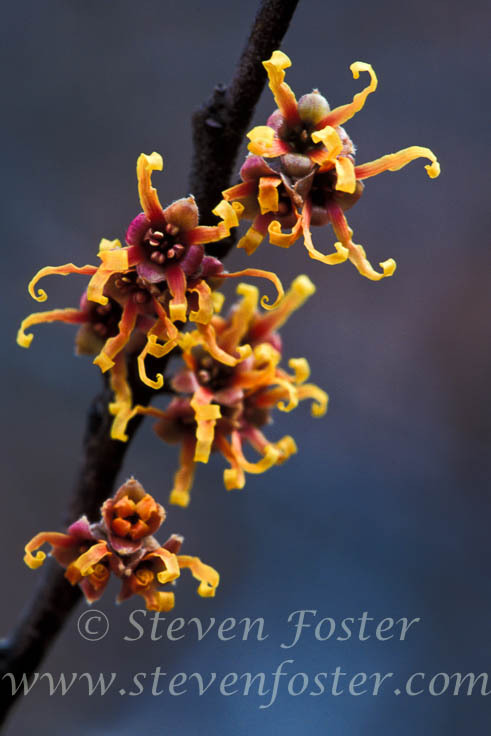 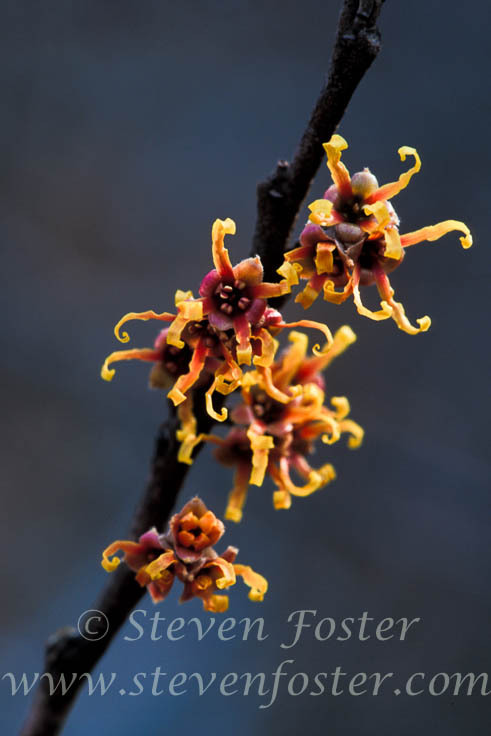 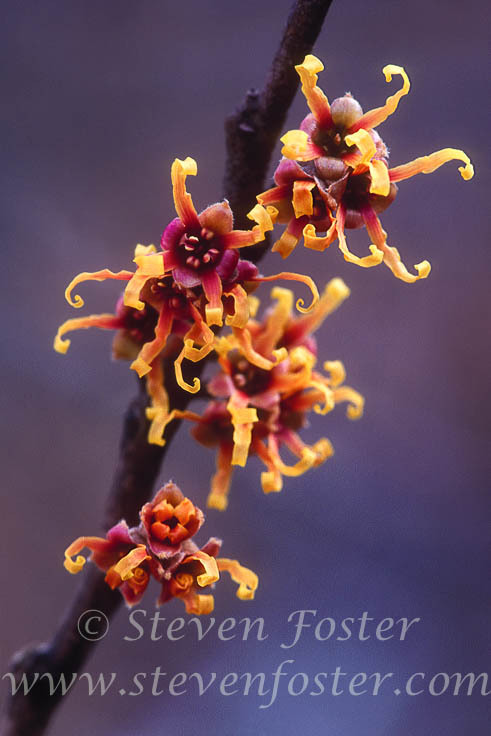 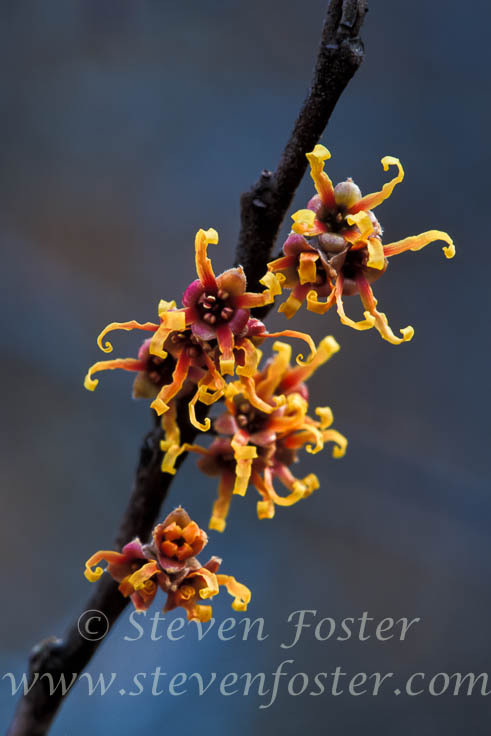 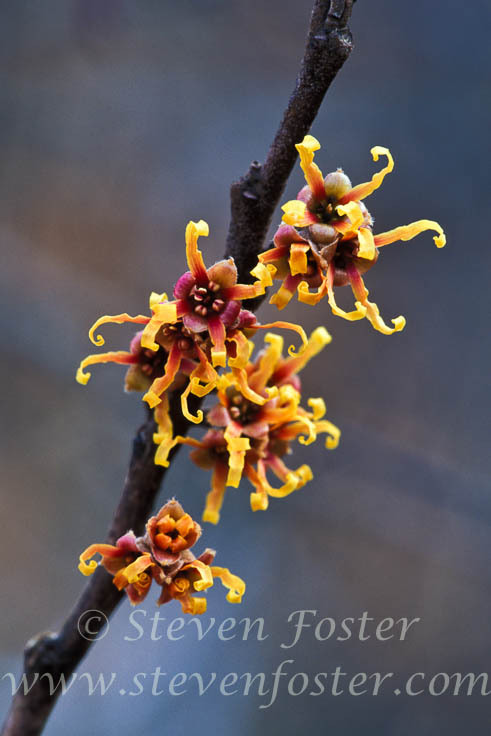 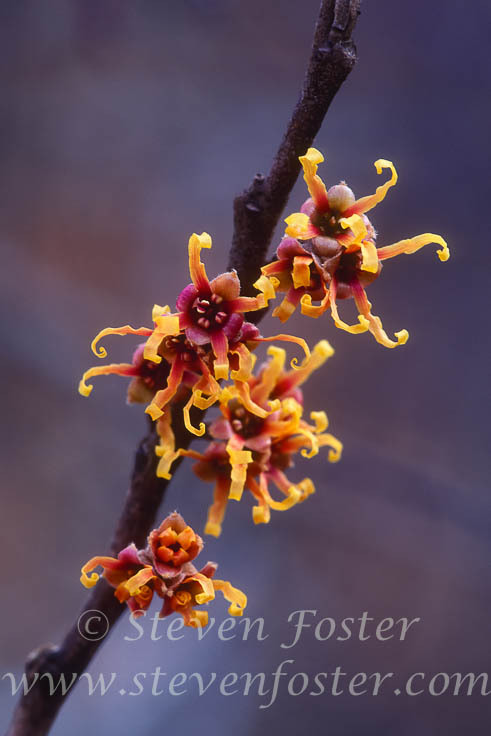 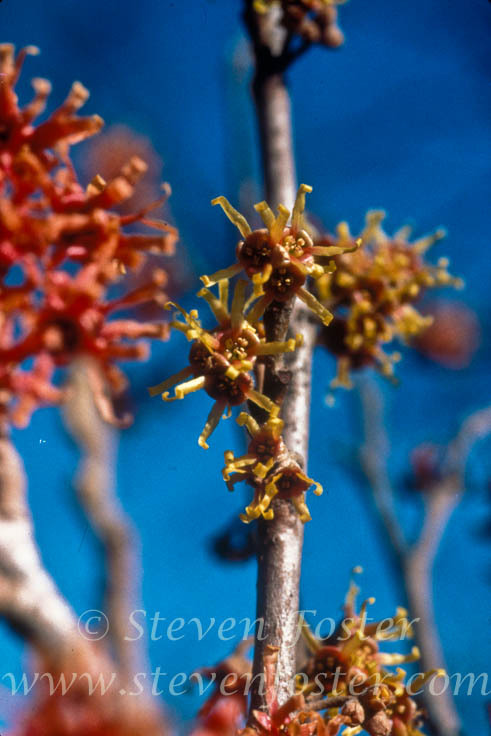 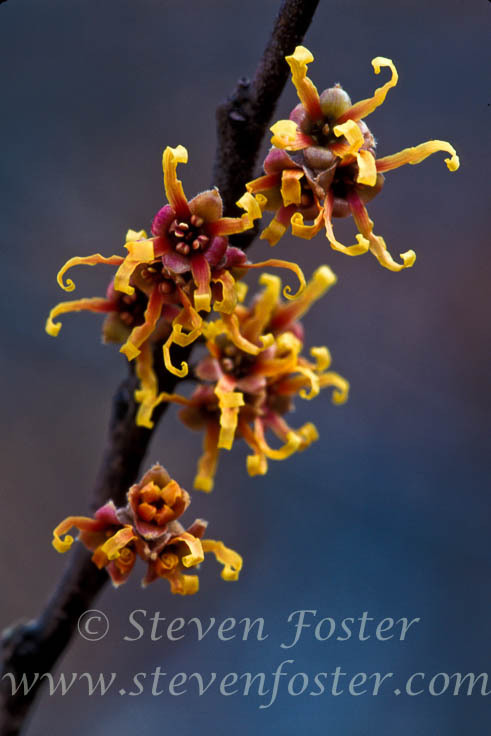 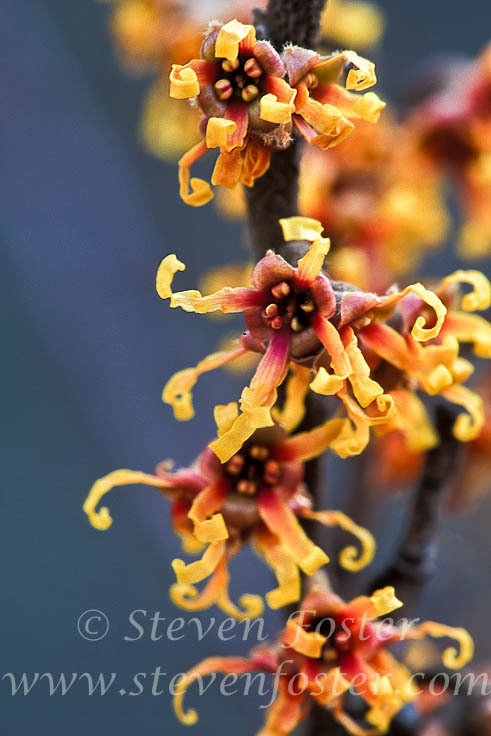 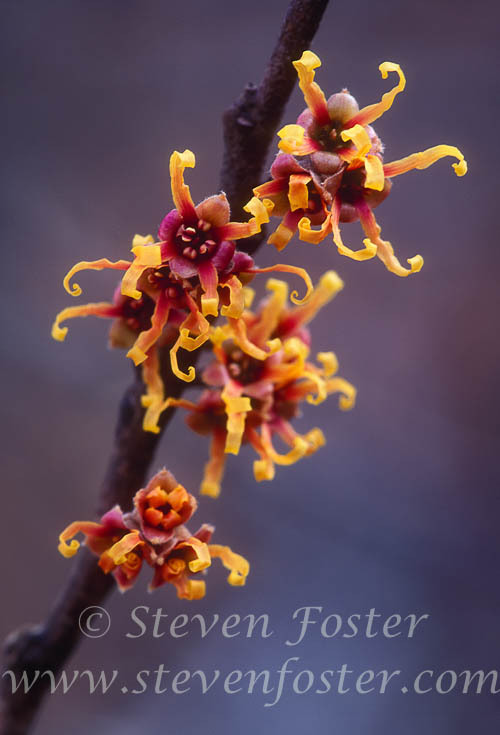 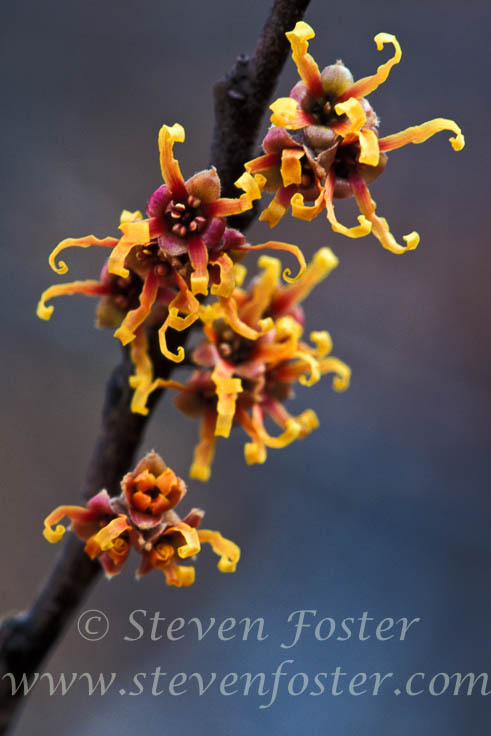 Depending upon where you live exactly, vernal witch hazel might be considered the latest or earliest blooming plant, starting as early as the last week of December in the southern Ozarks, or holding-off until February or March and continuing through April. 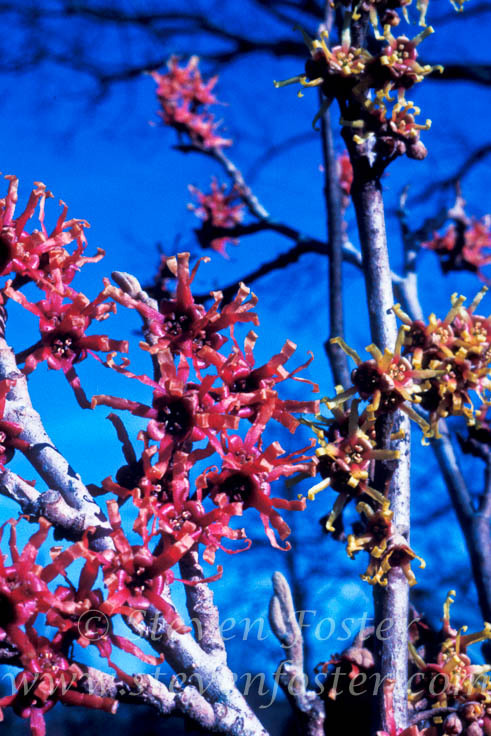 Blooming time may differ from valley to valley. 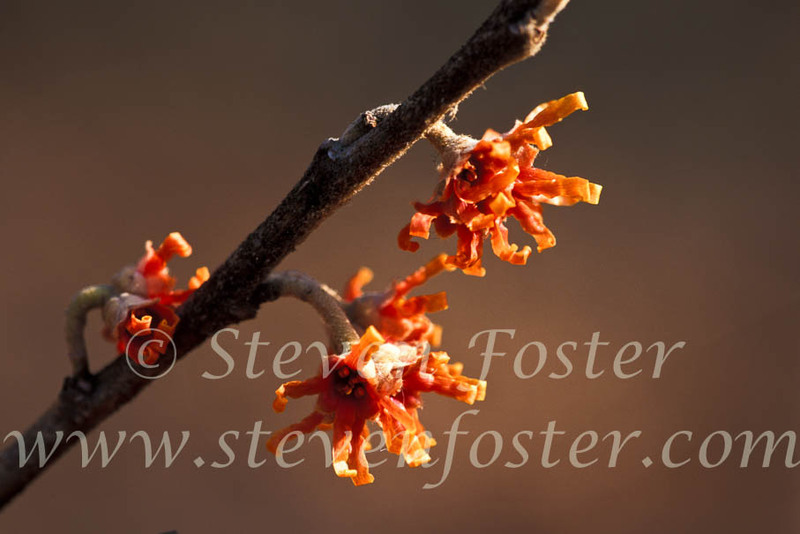 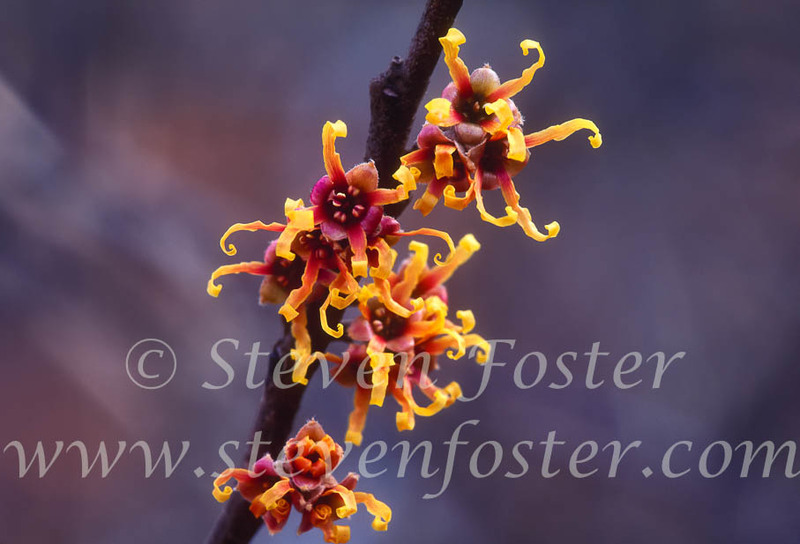 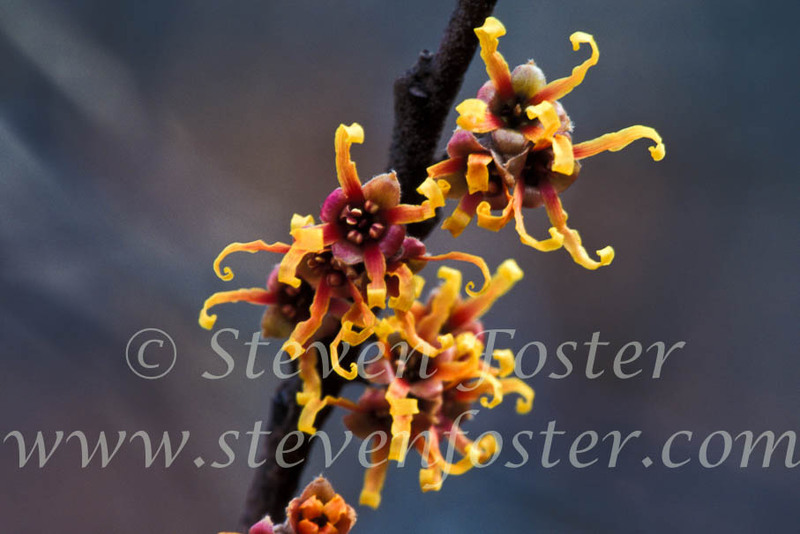 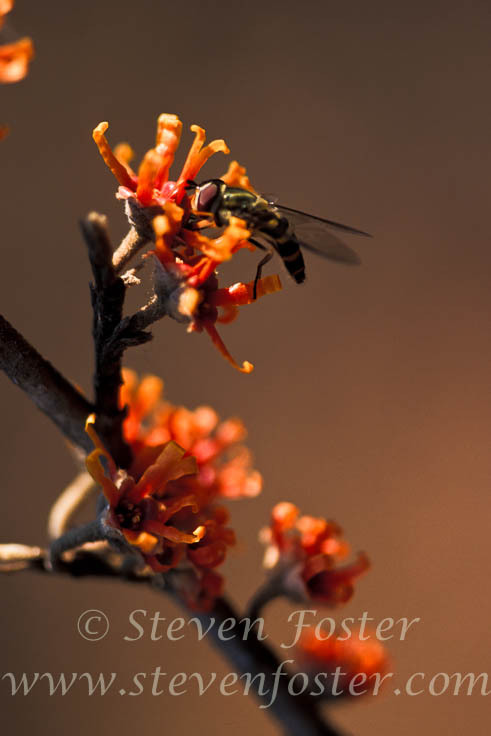 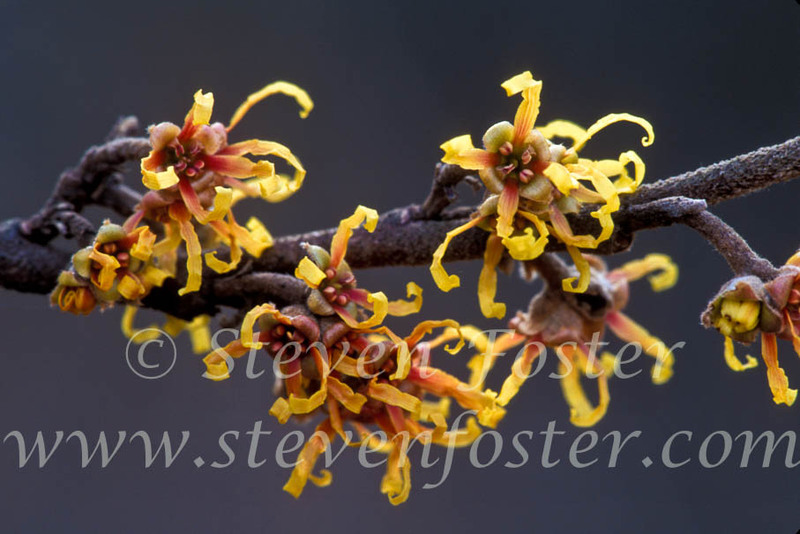 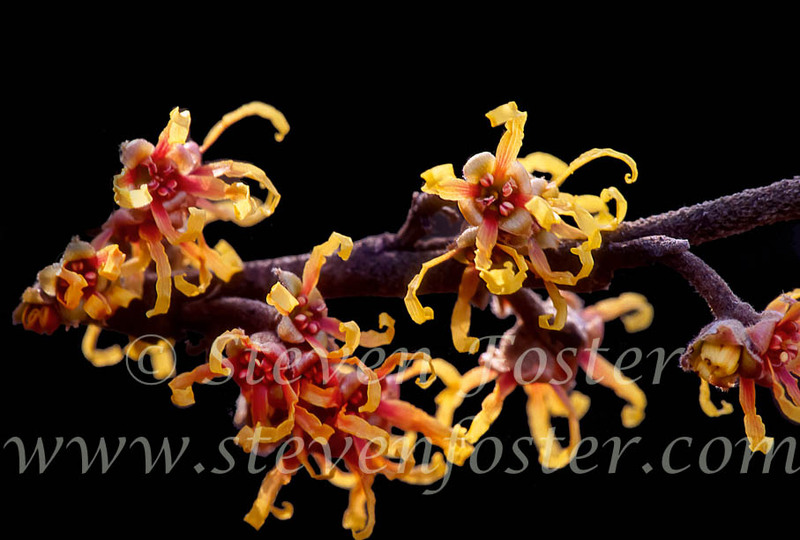 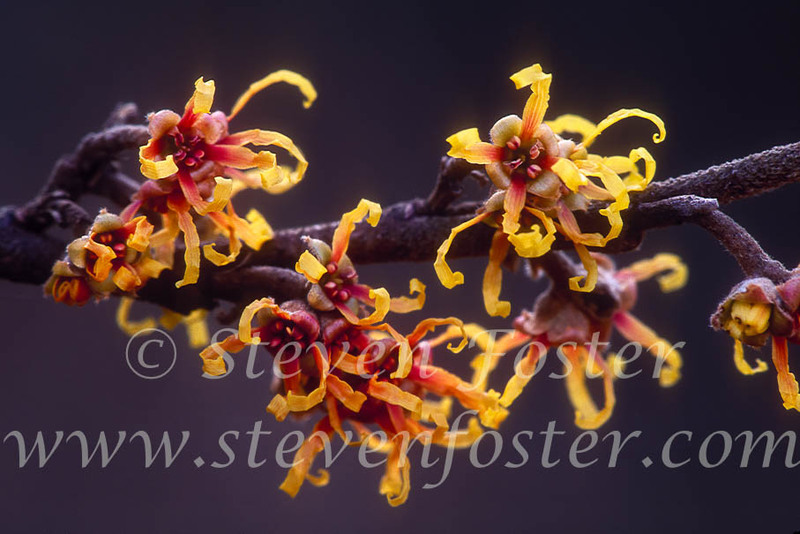 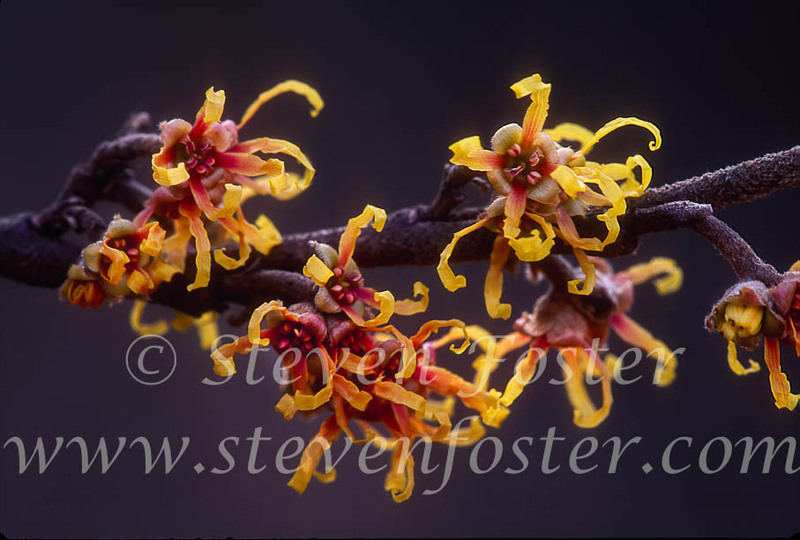 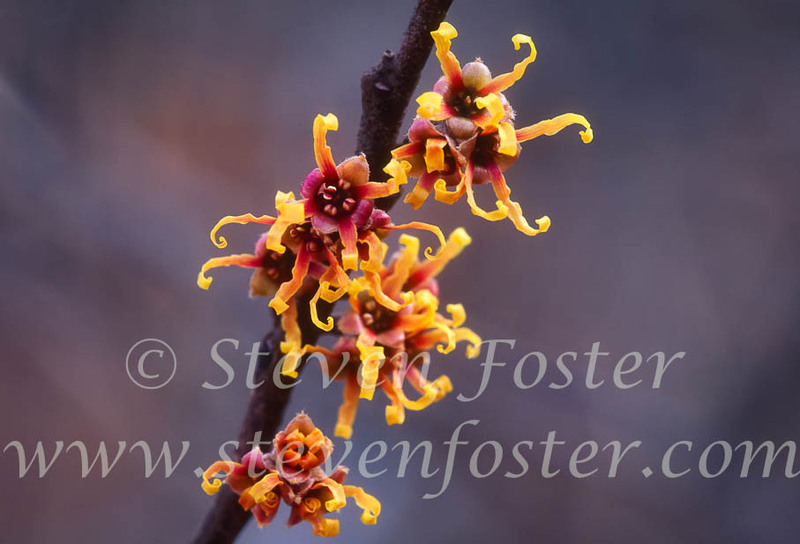 Vernal witch hazel blooms have a slight orange tint or may be reddish toward the center of the flower. 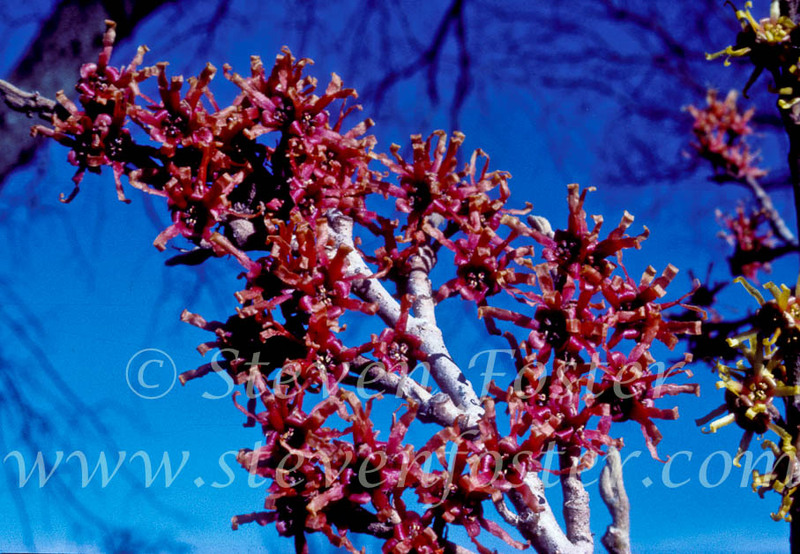 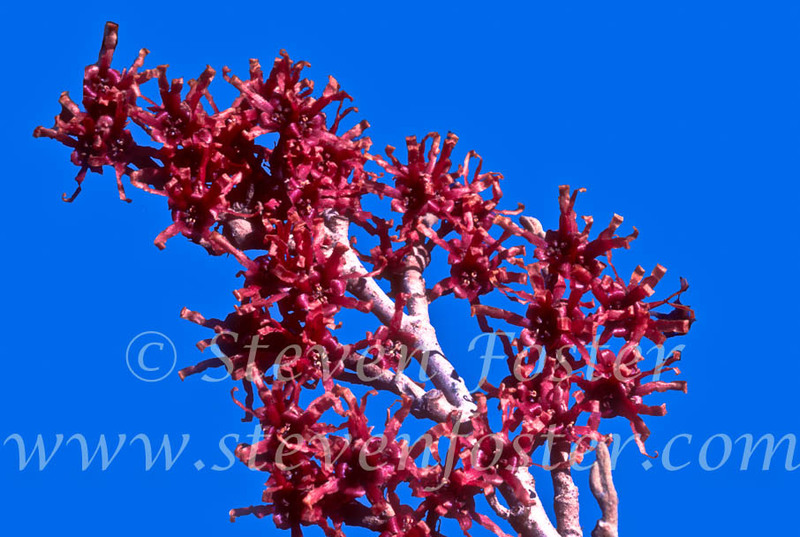 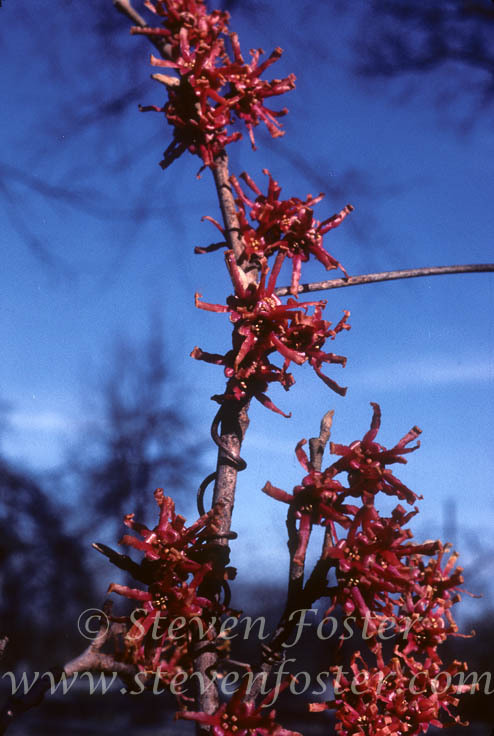 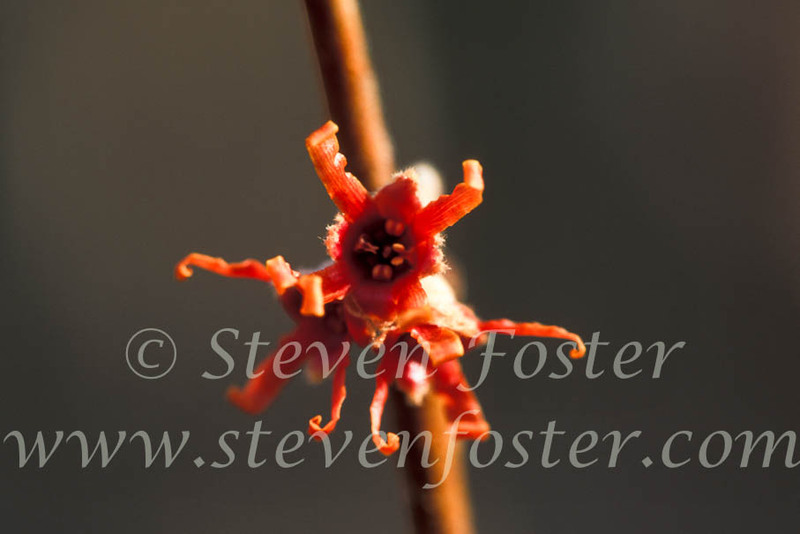 One rare form of vernal witch hazel is called form “carnea,” with brilliant dark red flowers. 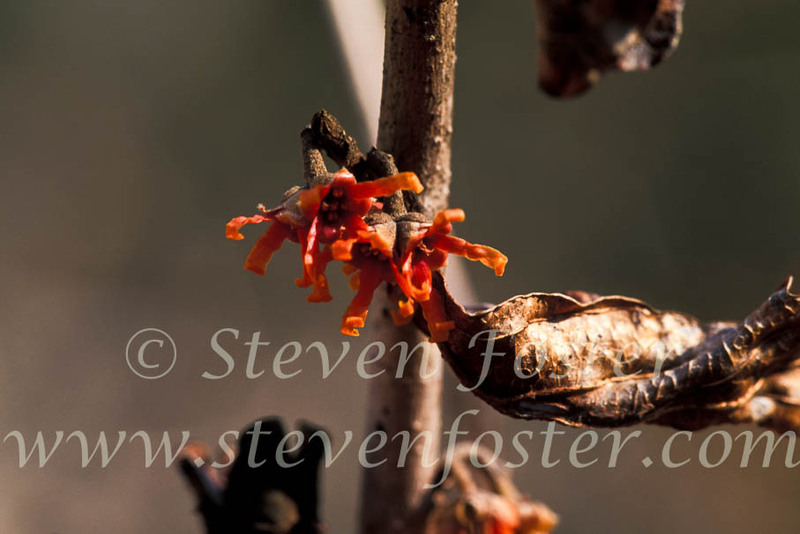 See images 17, 18, 33 and 34 below.